The Trust for Public Land recently released its 2017 ParkScore index, which rates park systems in the 100 largest U.S. cities, and Texas' showing is mediocre at best. Plano gets the state's highest score, tying for No. 17 with St. Louis, Missouri, and Albuquerque, New Mexico. From there it's a rather large drop-off to No. 46 for Austin, with Dallas (No. 50) and Arlington (No. 59) close behind. A handful of other big Texas cities fall even further down. 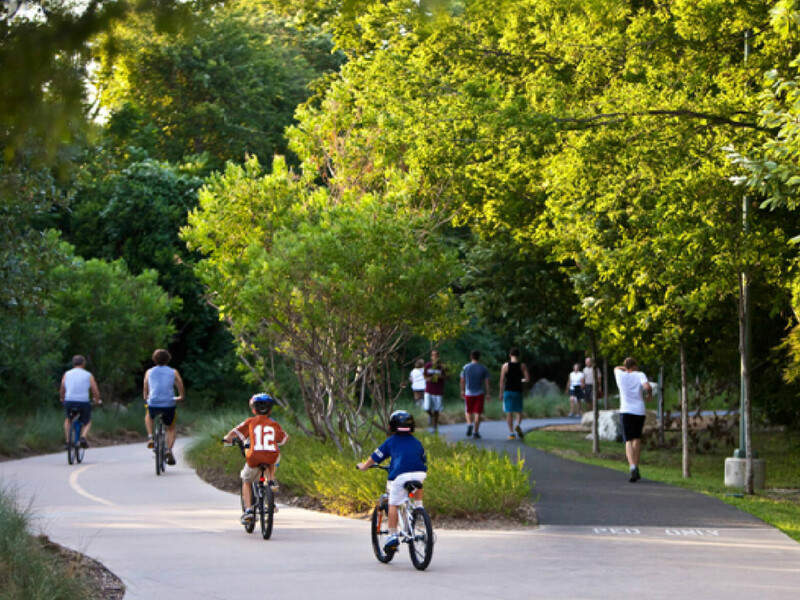 Using mapping technology and demographic data, the study determines how well cities are meeting their need for parks. Factors such as acreage (median park size and what percentage of a city's land is used for parks), facilities and investment (spending per resident), and access (percentage of the population that lives within a 10-minute walk of a public park) all go into the overall ParkScore, which has a maximum of 100 points. Dallas earns 51 points, largely due to low numbers for investment and access. We may have a healthy 27,038 acres of parkland in the city proper (which works out to 48 resident served per acre), but we're pretty stingy when it comes to spending money on dog parks, playgrounds, recreation and senior centers, and even basketball hoops. In contrast, overall first-place city Minneapolis earns a score of 87.5, racking up the points with a maxed-out 20 for spending and a nearly perfect 39 out of 40 for access. St. Paul, Minnesota; San Francisco, California; Washington, D.C.; and Portland, Oregon round out the top five. You'll find Garland (No. 63), San Antonio (No. 69), Irving and Lubbock (tied at No. 85), and Laredo (No. 93) near the bottom. Houston comes in at a lowly No. 81, tied with Newark and Wichita. Five years ago, Dallas was ranked No. 21, but that study only analyzed 40 cities total.